Woof from Bob the Dog! Some of you may have picked up on the fact that Dharma has a dog… Bob the Dog, as he is lovingly known by many. Well, Bob asked his ma Dharma if she would mind letting all her readers know what he’s up to these days, and I thought, well, he’s such a good boy, I don’t mind making the exception by giving him a little plug (not a pug, a plug). Bob recently started his own company aptly called Bob the Dog that specializes in a variety of treats and accessories, perfect for pups of every kind. He’s the President, of course, and he’s got his ma and his guy (Mr. Dharma) working hard these days. Bob’s been touring Farmer’s Markets in his area for the past few weeks, and will be spending the rest of his summer out there shaking paws and kissing babies… maybe you’ll get the chance to meet him too! 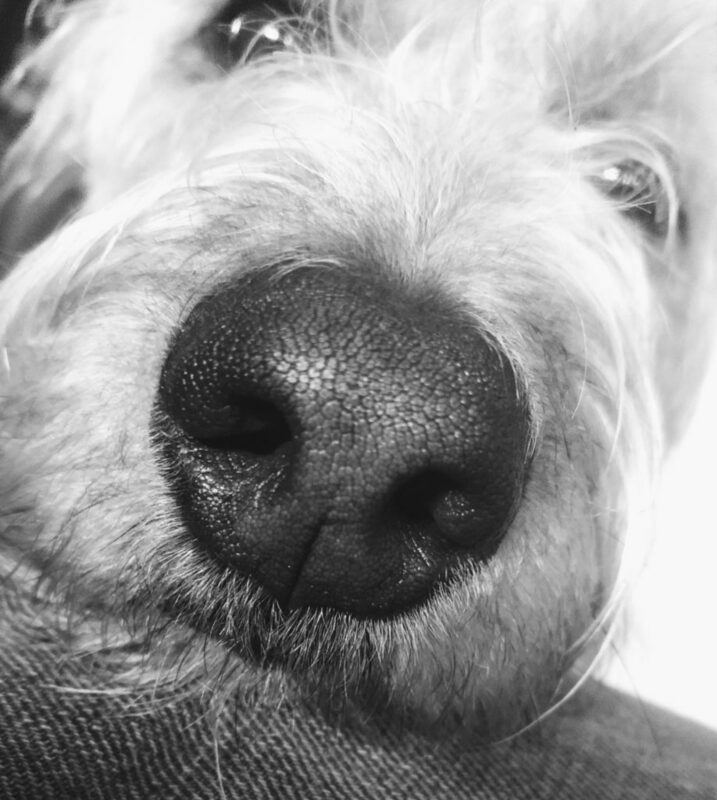 Bob would love for you to check out his FB page and maybe Like it too, if you’re in the mood to support this entrepreneurial Whoodle… His webpage is currently under construction, but should be up and running in no time. And yay for everyone – once it’s ready, you’ll be able to order online and Bob can have stuff shipped right to your front door! Bob’s also playing around with Twitter, so you can check him out there as well… He appreciates all the love and attention, so don’t be shy in sharing!